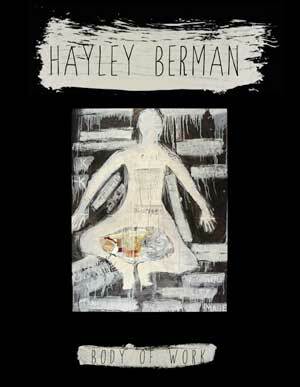 Dr Hayley Berman is a practicing artist and Psychoanalytic Art Psychotherapist living and working in South Africa. She trained first as a Fine Artist at University of Witwatersrand in South Africa, completed her Art Therapy training at St Albans and since completed her PhD in Psycho-Social Studies at The University of Western England, Bristol. She is the Founding Executive Director of Lefika La Phodiso/The Art Therapy Centre, an NPO based at the Children's Memorial Institute. Lefika’s core work is to increase mental health resources in South Africa. Hayley has developed a Psychoanalytic Community Art Counselling training for community workers. She is affiliated to the Institute of Child Psychoanalytic Psychotherapy, the South African Psychoanalytic Confederation. She has exhibited her work in South Africa, and presented at several local and International Conferences and internationally published. She is a registered member of the Health Professions Council of South Africa and of the British Association of Art Therapists. Body of Work is a visual monograph of Lefika La Phodiso/The Art Therapy Centre's Founding Director Dr Hayley Berman's work.